One of the many things we had to do to prep for our new flooring was remove the built-ins from our master closets. The custom built-ins went right to the floor meaning there would be no way to remove the carpet and install new floors without removing the built-ins themselves. The built-ins were custom, so once they were removed there was no putting them back. Since they were dated as it was, we decided to replace them with some nicer and more modern built-ins. Enough said, right? I did my best to make them more modern, but there’s only so much you can do. Because of budget, we chose to replace them with the Martha Stewart Living at The Home Depot Closet System as opposed to custom. We picked Espresso as our color, which we’re glad we did because it matches our bathroom vanity. 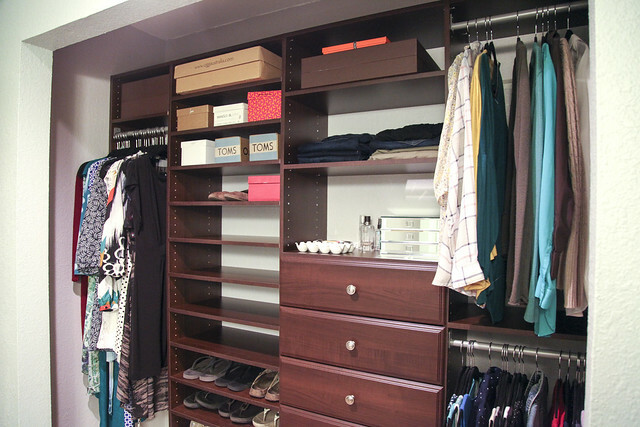 First we hopped onto Martha Stewart Closets and began designing! We put in our closet measurements and began playing around with what we wanted. 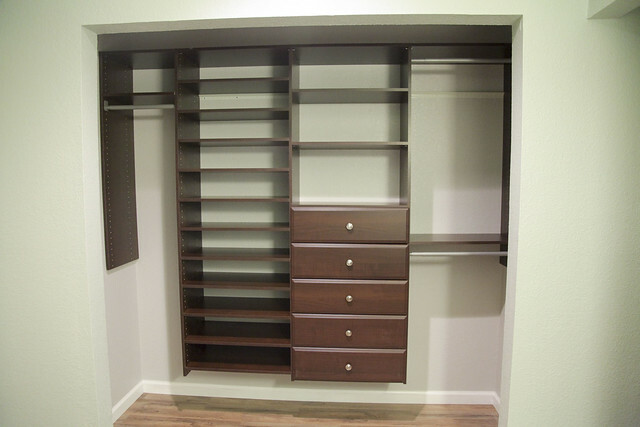 The online design tool was really handy and easy to use, and I loved that it showed exactly how much your closet would cost. Then you have the option of either ordering it only or buying it in store. 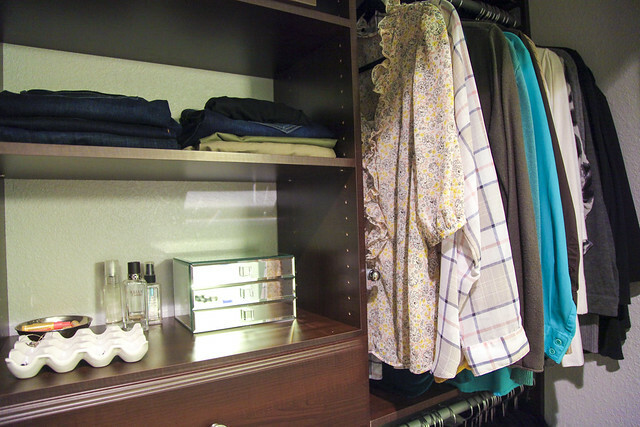 Once we designed our closets we printed out our lists so we could go shopping. We had to visit about four different Home Depots to get all the pieces we needed, but in the end it all worked out. Joshua began assembling my closet on Sunday and officially finished it last night. Everything went together quite well, and he only had to custom cut a couple of pieces. All that’s left is some new doors and some more shoes, of course. ???? Hahaha so much room for MORE SHOES! 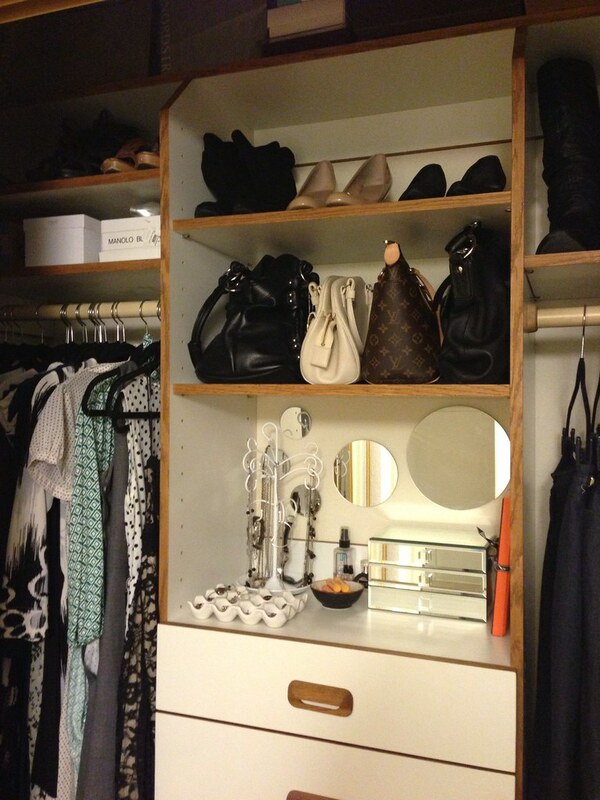 The closet looks great. I love that both you and Joshua get to design your own. Awesome idea.